We have all heard about short stories. What, then, are short short stories? To answer this, Kulpreet Yadav, who is a bestselling author, motivational speaker and founder-editor of Open Road Review, an international literary magazine, says that these stories have recently been referred to as flash fiction and are only 500 words or so. He believes short stories are in many ways like novels. One just has to imagine getting the whole thing out in 500 or 1000 words. It is a good experiment for writers. Sundeep Bhutoria, a culturalist, social activist, author, columnist, wild life enthusiast and the moderator of the session says that four page letters have turned into one page email and then later, these emails changed into texts. The same has been the case with short stories. 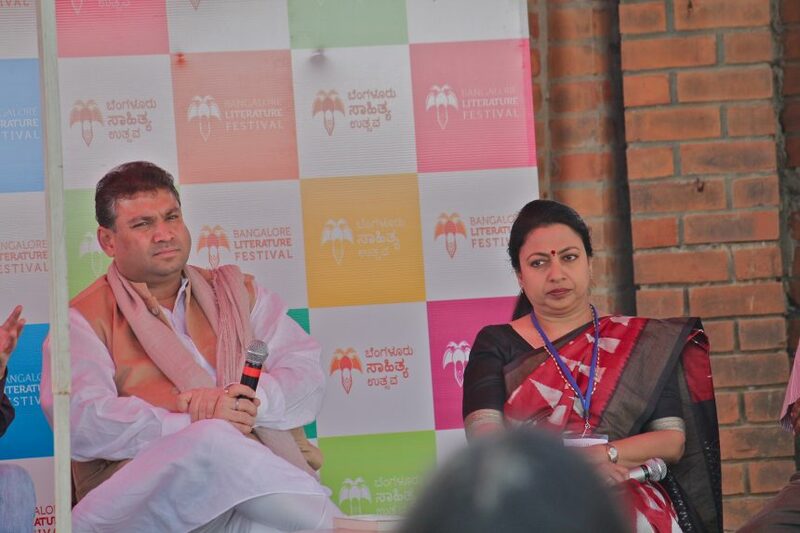 Paramita Satpathy, who has written six short story collections, one novel, one novella and a poetry collection in Oriya, says short stories as a genre is getting popular in India. A short story has an amazing capability and she had great short stories she wanted to tell from time immemorial, but storytelling has always been a challenging task for her, and she believes all storytellers have their own way of expressing themselves. Dr. Madhurantakam Narendra, a Telugu writer, thinks that the topic has been chosen keeping him in mind. He has been experimenting with the length of his short stories since the start of his writing career. Short stories have been a medium for him to understand things. He tells the alternative answers to different problems through his short stories. He also asks to allow the stories to grow spontaneously and naturally and one never knows if it may turn into a novel later. S Diwakar, who has published over 30 books of short fiction, poetry, essays, translations and literary criticism shares his experience about writing. He started writing with poetry and then moved to writing short stories. In a jovial mood, he says that we cannot grow creativity like potatoes. In America, most of the universities have creative writing courses. And, most of the people who pass out from these universities turn out to become writers, which is actually not the case in India. To end the session, he says that a short story is a slice of life. If it doesn’t make you ponder, it’s not cherished.